Tre-Ysgawen Hall Hotel is a luxury spa and hotel in beautiful Anglesey, Wales. Surrounded by rolling countryside, the owners of this off gas hotel wanted to concurrently reduce costs and carbon emissions. The hotel originally ran on oil due to its idyllic rural location being off grid which was proving to be a highly expensive outgoing. In order to do this Rural Energy worked directly with the client to produce a solution that could heat the swimming pool, spa and hotel rooms. A packaged plant room style solution was specified by Rural Energy’s technical designers with an all-in-one package that would be built on site. This could be built separately to the existing gas plant room on the ground and provide district heating to the hotel buildings. A 600kW Herz BioFire system was designed and installed. The fuel store and plant room construction resembles a packaged plant room and takes advantage of the sloped grounds with the fuel store side fitted to the slope height. This allows for a tipped vehicle to deliver wood chip easily. The fuel store also features a walking floor for energy efficient fuel feeding. Rural Energy project managed the installation of this all-in-one plant room and fuel store working directly with contractors and the end users. 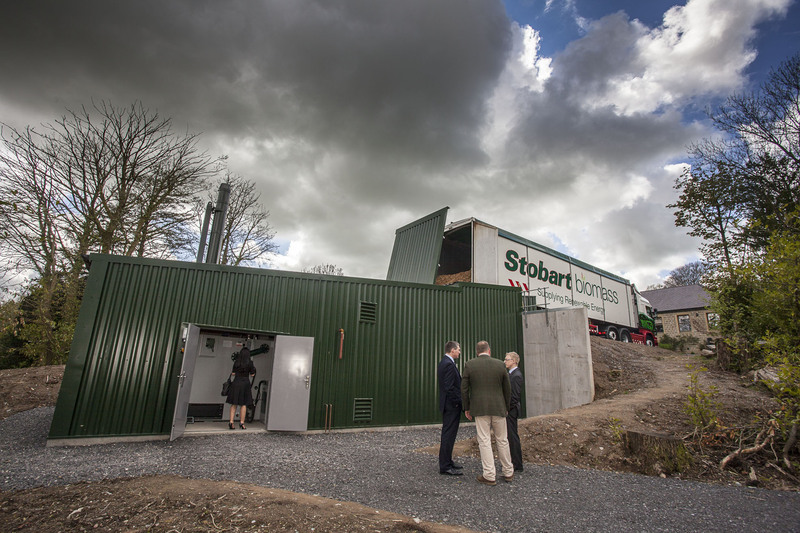 Stobart Biomass also set up a purposely located biomass station in the Anglesey area in order to meet the wood chip demand of the hotel. Believed to be one of the first biomass heating systems designed and installed specifically for a hotel and spa in Wales, Tre-Ysgawen Hall Hotel’s system has saved approximately £90,000 in bills in its first year. This 600kW Herz chip-fed system heats a large spa within the hotel complex including a swimming pool, thermal suite and gym. There are also two substantial dining areas and a number of private treatment rooms. The country hotel also features a number of conference suites and 29 luxurious rooms in the original Hall building.